Peoples Democratic Party members are right now protesting at the House of Representatives over the defection of a member, Raphael Igbokwe, to the All Progressives Congress. 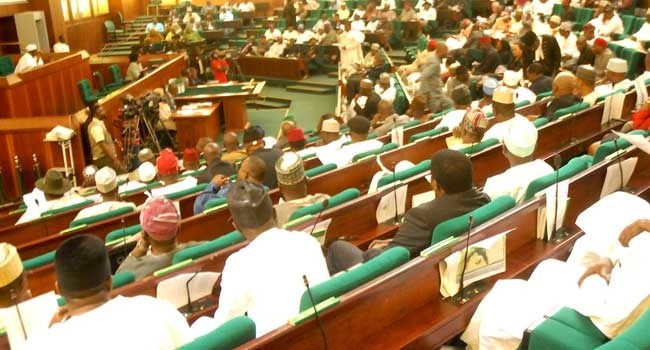 The House of Representatives has been thrown into a state of confusion after members of the People's Democratic Party (PDP) staged a walkout. The lawmakers were protesting over the defection of a member, Raphael Igbokwe, to the All Progressives Congress. Igbokwe, who is from Imo State, first came to the House in 2011. PDP members immediately walked out in protest after the Speaker, Yakubu Dogara, allowed the defection to stand. The members had argued that based on the recent decision of the Supreme Court, there was no division in the party. Imo State Governor, Rochas Okorocha, witnessed the defection of Igbokwe at the session.